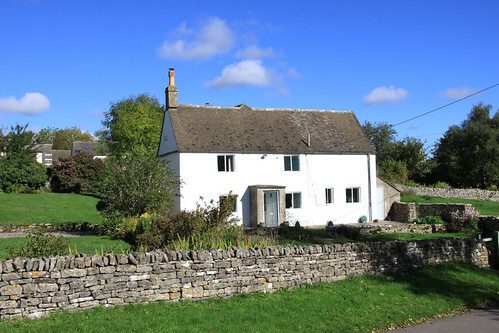 A PICTURE postcard farmhouse, and a paradise for horse-lovers, has come on to the Cotswolds property market with a guide price of £975,000. Birds Frith Farm is an historic 17th century cottage set in nearly 30 acres of gardens, paddocks and pasture at Far Oakridge, between Cirencester and Stroud. From 1856 until 1969 the house operated as a pub, called the Nelson Inn, so the 4m by 4m cellar beneath the property would have come in handy for storing beer – and now offers a useful room which could be utilised for a number of purposes. Above the cellars are a spacious 5m by 5m drawing room, a generous 5.5m by 3m dining hallway and a good-sized 4m by 4m kitchen, with adjoining utility room. Upstairs are three double bedrooms – the largest of which measures around 5m by 4.5m – and a family bathroom, all of which present uninterrupted views over stunning countryside. Outside the Cotswold stone farmhouse – which is not listed, but features a wealth of period features, including a large inglenook fireplace in the dining hallway – are attractive gardens bounded by Cotswold stone walls. 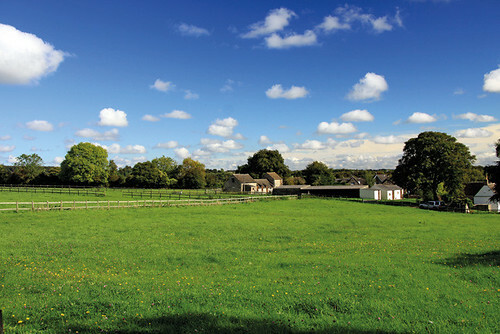 To the rear of the house is a collection of well-presented farm buildings, including a stable yard with two foaling boxes and a feed room, a second stable yard, a barn with two internal horse boxes, a single storey range containing four loose boxes, and a second barn with a large loose box and external steps leading to a loft. An outdoor manege (24m by 17m) with sand and rubber surface is fully enclosed and has gates leading from each stable yard. A six bay open fronted building (22.5m by 6m) provides extra useful storage. The pastureland extends to nearly 30 acres behind the house, and comprises five paddocks divided by post and rail fencing. Facilities including a village shop and post office, renowned primary school, popular CAMRA-recommended pub – The Butcher’s Arms – and parish church can be found at nearby Oakridge Lynch, which also offers bus routes to Stroud.